Automation is a must for managing a hybrid cloud environment. Consider the alternative: operating and maintaining a myriad of tools and associated consoles, which will add management burden rather than relieve it. But one set of tools doesn’t always cover all your bases. How can you tell if you do (or do not) need to tie in remote monitoring and management (RMM) software to other monitoring technologies? Our experts have packaged together a guide to determine just that: Read on to gain exclusive insight into how to manage your hybrid cloud with either RMM and homegrown automated tools. 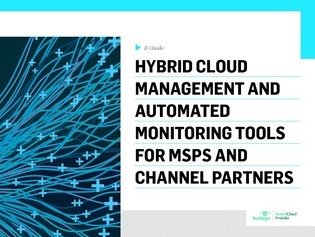 You’ll also discover how to monitor both cloud and legacy systems without overcomplicating your toolset, enable custom integrations to unify monitoring tools with ITSM, and more.